The event where the European Leaders of DXN meet! Learn from the most successful in order to become more successful! 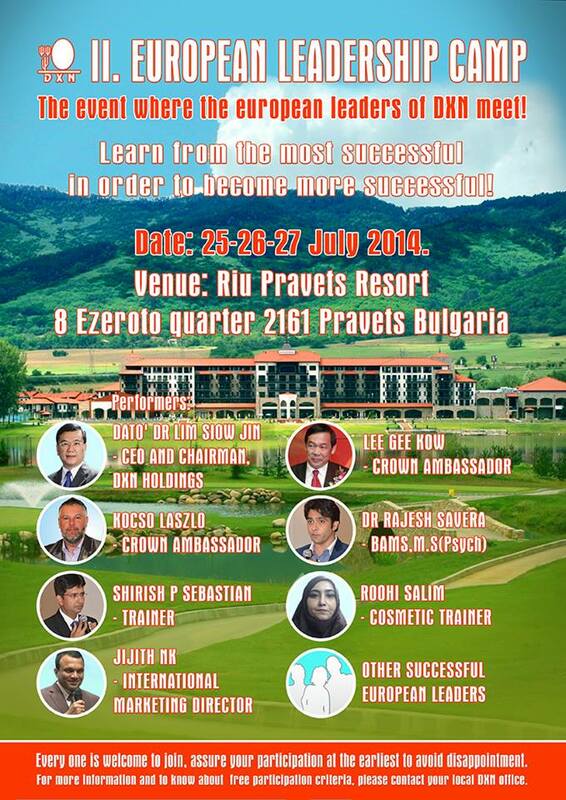 Everyone is welcome to join to DXN European Leadership Camp! 5. Double qualification is possible if they have required PV and number of member two times. Join DXN now and be the part of this success!